Mifflin Gibbs made a fortune in Victoria by outfitting gold prospectors. He helped finance the African Rifles militia before returning to his native United States, where he became the first elected African-American municipal judge. Some 60 bronze plaques adorn the causeway wall overlooking the Inner Harbour, a project begun nearly a half-century ago to mark the city’s centennial. Named are kings and queens and presidents and grand ships with grander names. Only one plaque commemorates the arrival of an ethnic group. The fascinating story of Vancouver Island’s black pioneers will be retold on B.C. Black History and Heritage Day on Sunday. The first group of black settlers arrived in the colony of Vancouver Island in 1858. Joining them was a Philadelphia-born son of a preacher and a laundress who came north from California after learning of gold fields on the Fraser River. While prospectors loaded up with supplies before heading off to seek their fortune, Mifflin Wistar Gibbs made his by outfitting them from the general store he built with his own hands in Victoria. He was the first provisioner to challenge the Hudson’s Bay Company in the city founded by the company as a fort and trading post. He made enough money to buy a lot in James Bay on which he built a house, the first of several properties he would own in the booming city. As his American homeland descended into the bloodlust of the Civil War, Mr. Gibbs helped organize and finance a volunteer militia called the Victoria Pioneer Rifle Corps, which became known as the African Rifles. The corps comprised many men who had been rejected when they volunteered for the all-white fire department. One can only delight in imagining the reaction of racist white prospectors from California arriving in the colony to discover blacks not only free, but armed. Earlier that year, Mr. Gibbs and his wife and another couple secured seats in the dressing circle of the local theatre, the first black patrons to sit in an area in whichetiquette demanded full evening dress to be worn. During the first act, a paper bag filled with white flour landed on the party. Several American men at the back of the hall were suspected of the act. A complaint was laid, but the man, an auctioneer, was acquitted after witnesses swore another American had done the deed. “English sentiment was greatly scandalized by the mean action of the blackguards at the theatre,” the Colonist recounted many years later. Gibbs took a seat on city council by acclamation in 1867, and, soon after, joined a fledgling group called the Confederation League, which advocated the colony of British Columbia immediately join the Dominion of Canada. 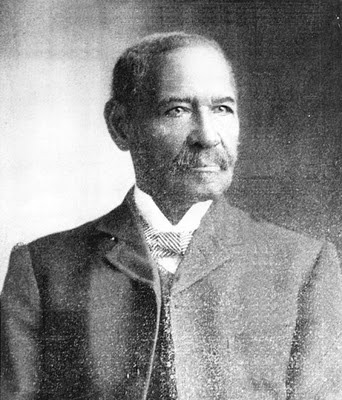 He opened a coal mine in the Queen Charlotte Islands (now Haida Gwaii); returned to his homeland to study law; was chased and beaten by a white mob in Mississippi accusing him of carpetbagging during Reconstruction; became an active Republican in Arkansas, where he won election to the bench, the first African-American to do so in the union; became American consul to Madagascar; and, at age 80, opened a bank. Though he spent only about a decade in the province, it seems a shame that Victoria has not named a street after so remarkable a figure. His exploits are told in Crawford Kilian’s superb, “Go Do Some Great Thing,” a history of the province’s black pioneers, released in a revised edition by Commodore Books 15 months ago. The author writer took the title from a challenge offered by a female abolitionist to a young Gibbs. Mr. Kilian was invited to speak at B.C. Black History Day events on Sunday[Feb. 7], but the prolific North Vancouver writer cannot attend as he will be celebrating his 69th birthday that day. Ron Nicholson, who is well versed on Gibbs, has spent many years researching the story of his own great-grandfather, Adam Nicholson, a slave in West Virginia who escaped to Canada, settling near Niagara-on-the-Lake. The wooden house his ancestor built remained in the family’s hands for generations. Mr. Nicholson, 63, is the chief of security at Government House, where he offers protection to the Lieutenant Governor and the chatelaine, as well as to their visitors. In the past year, overnight guests at the stately manor have included the Emperor of Japan and Prince Charles. So, the great-grandson of a slave who found freedom under the Crown was responsible for the safety and well being of the heir to the throne. The Victoria-based B.C. Black History Awareness Society has several events planned in February. On Sunday, the film “Go Do Some Great Thing,” based on Crawford Kilian’s history of black pioneers, will be shown, with the producer Anthony Brown available afterwards to answer questions. The screening is part of a three-hour event that will also include a session with Doug Hudlin, a longtime umpire who is an inductee in the Greater Victoria Sports Hall of Fame. The event begins at 1:30 p.m. at the James Bay New Horizons Centre, 234 Menzies St., in Victoria. On Valentine’s Day, a tribute to black music including the Vic High R&B Band, as well as Louise Rose and the Victoria Good News Choir, will be held at the Farquhar Auditorium on the University of Victoria campus. A children’s choir, a gospel choir and a dance troupe round out the bill, which begins at 2 p.m. Tickets are $25. On Feb. 20, Ron Nicholson will speak about the history of the Underground Railroad, the informal network of secret routes and safe houses by which blacks fled slavery in the United States to find freedom in Canada. The presentation begins at noon at the Traveller’s Inn, 1961 Douglas St., in Victoria. The annual Black History Month service will be conducted at the Shady Creek Church, 7162 West Saanich Rd., at 9:30 a.m. on Feb 28. A walking tour of the final resting spot of black pioneers will be held at the Ross Bay Cemetery on Feb. 28. Participants are to meet at 1:45 p.m. at the Fairfield Plaza across from the cemetery. INteresting piece of history, I dont know if this is information is known, but it is very interesting.